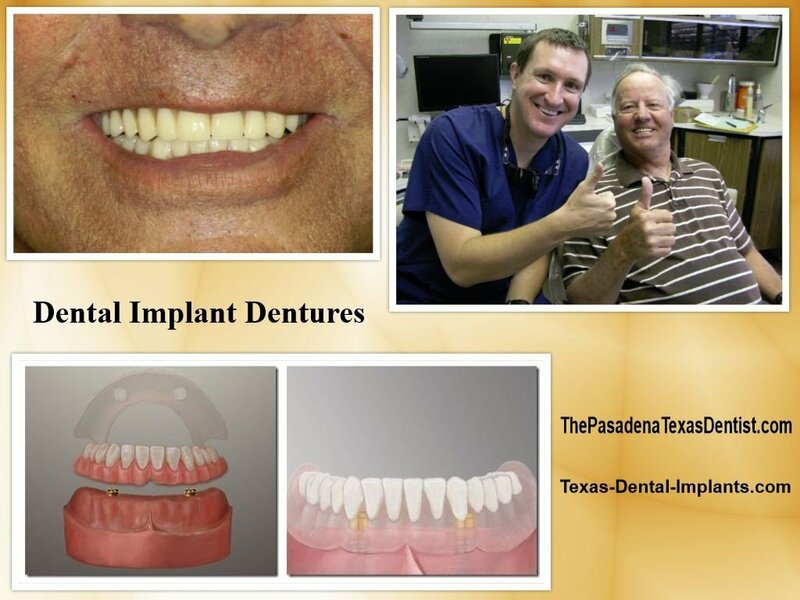 Dr. Nugent is a Pasadena Dentist that can make dental implant dentures. These revolutionary dentures literally “snap” onto the implants creating a stable and secure denture. No more messy denture adhesives. No more stress about your dentures falling out during speech, eating or laughter. Get your life back with dental implant dentures. Dr. Nugent is located at 3421 Burke Rd, Pasadena, Texas 77504. Get the best in dental implant dentures for you or your loves ones. Call us today at 713-941-8261. Discover how Dr. Nugent can transform your life with dental implant dentures. Dr. Nugent is a recognized leader in dental implant therapy. He is one of a few regional dentists that can both surgically place and then restore the dental implants. Dr. Nugent has advanced training in dental implant and has a Conebeam CT machine to take 3-D x-rays. Visit us at 3421 Burke Rd Ste A, Pasadena Texas 77504.